Twelve members of the House representing parts of 13 counties in NEPA have banded together as a delegation to fight for the issues that matter most to the area. Members of the delegation include (back row, from left): Reps. Matt Baker (Tioga/Bradford/Potter), Michael Peifer (Pike/Wayne), Jeff Wheeland (Lycoming), Aaron Kaufer (Luzerne), Jack Rader (Monroe); (front row) Jonathan Fritz (Susquehanna/Wayne), Tarah Toohil (Luzerne), Chairwoman Karen Boback (Lackawanna/Luzerne/Wyoming), David Millard (Columbia), Tina Pickett (Bradford/Sullivan/Susquehanna), Rosemary M. Brown (Monroe/Pike) and Garth Everett (Lycoming/Union). 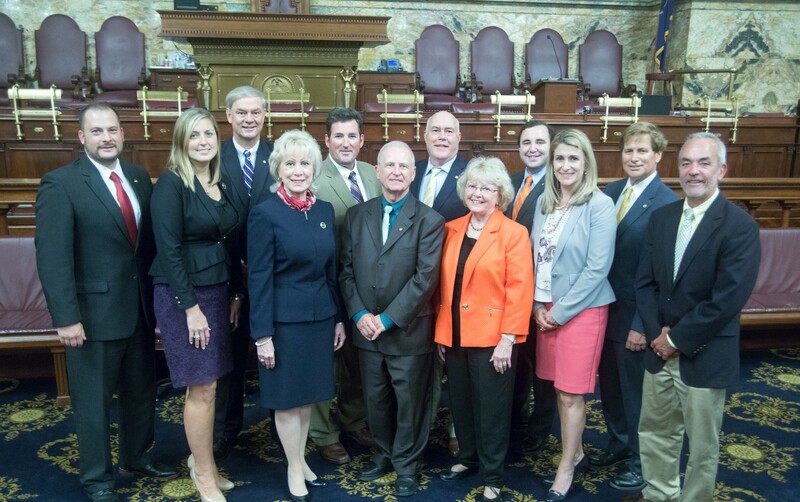 To ensure that Northeast Pennsylvania has a strong and effective voice in the Pennsylvania House of Representatives, the 12 members representing parts of 13 counties in this region of the state have banded together as a delegation to fight for the issues that matter most to the area. The delegation is being chaired by Rep. Karen Boback (R-Lackawanna/Luzerne/Wyoming).